There's no better time to get out and throw caution to the wind. Try some long socks instead of boots for a bit of colour. The French artist Henri Gaudier-Brzeska (1891-1915) grew up near Orléans, and was killed in action fighting in the trenches during the First World War aged 23. 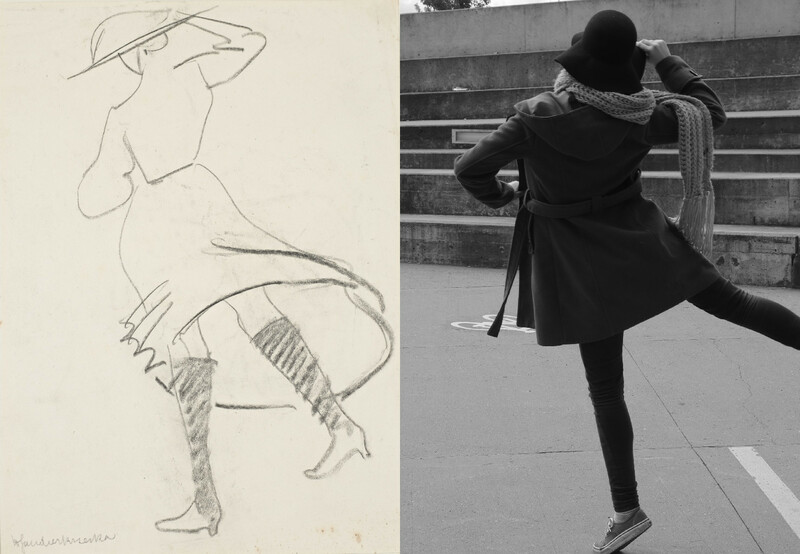 As a child and young artist Gaudier sketched relentlessly in parks, in the street and in museums during his stays in various cities including Bristol, Cardiff, Nuremberg and Paris. 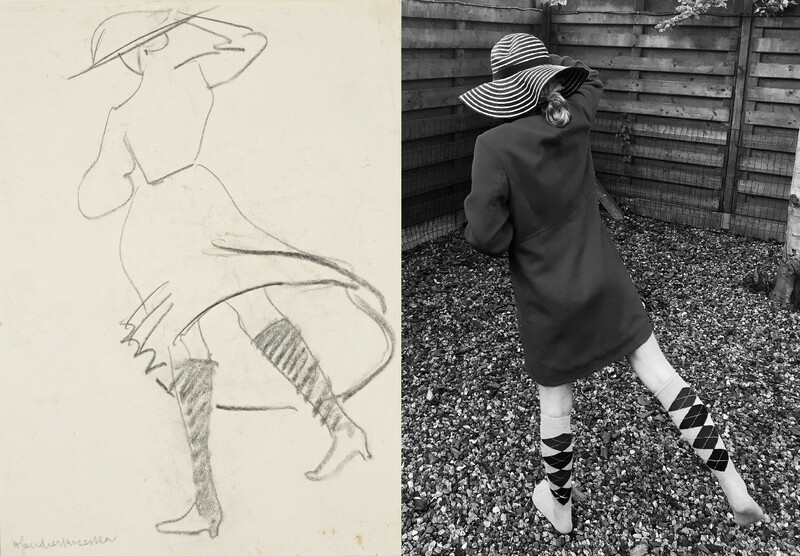 He was proud of this work ethic, and of his desire to capture the world around him, boasting in October 1912 that he had made 600 to 1000 drawings. 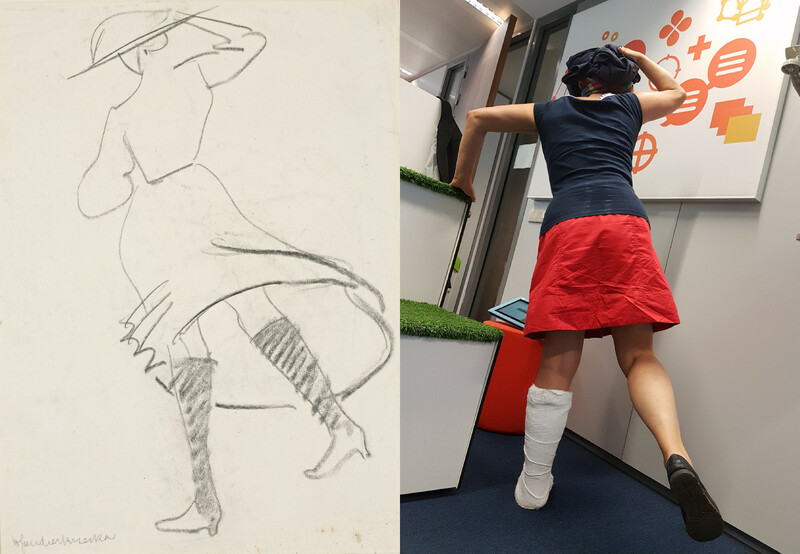 Even in the life drawing studio, which he began to visit a month later, Gaudier longed for motion and for performance. 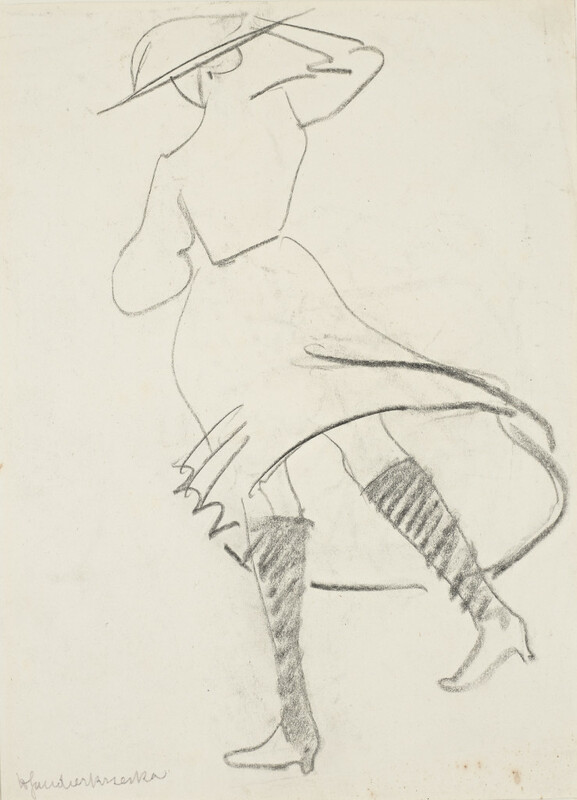 He said: ‘I should have liked a model who didn’t pose at all, but did everything he wanted to, walked, ran, danced, sat, etc.’ This sketch captures Gaudier’s obsession with subjects that were in motion or performing actions: a woman whose skirt is caught in a gust of wind.